I know so sorry I was MIA last week. I've kinda had a busy week. I mean I dyed my hair purple. Can we all take a moment for this jacket. I love a great vintage piece every now and again. When I saw this it had to come home with me. There was no questions about it. So tell me are you wearing any vintage this fall?! 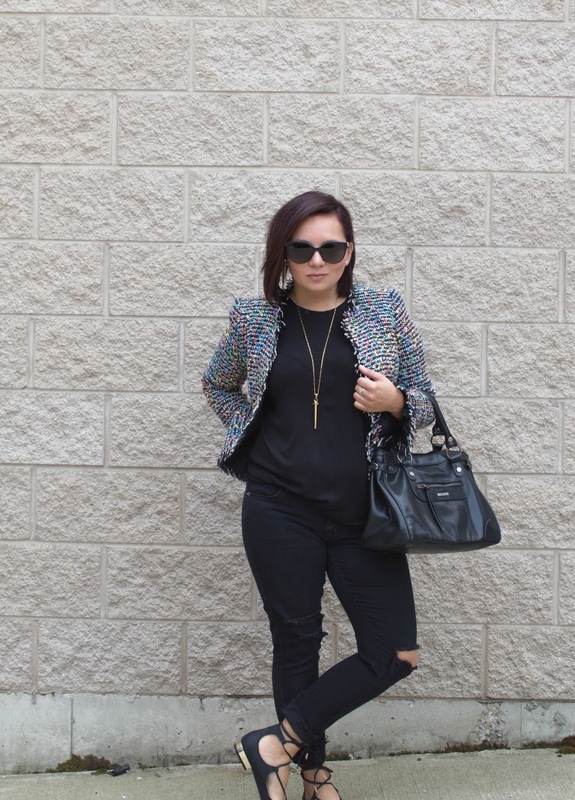 I've linked some of my favorite tweed jackets for fall. This jacket is too cool- amazing find, lady! Thanks lady :) Plus it was only $25!! Michelle, Umm those lips is me mixing two nudes together since i can never find my one that suits me! Your hair looks great! You adopted a puppy?? Will we see some pictures?? I want a dog so badly!! I promise I will be posting some IG pictures and a blog post on her real soon :) She's a rescue so I'm going to give her a couple weeks to get into a groove! Ahh but yes get one!! beautyyyyyy! Please stop by my blog for my latest post! love the look - beautifully styled! Absolutely LOVE this look...that jacket and those flats are so perfect! Love this look on you! That jacket and those flats are perfection. Love the jacket and ripped jeans!!! Beautiful! I love your shoes! You look so rad! The greatest jacket...and of course shoes!! That jacket is SO CUTE! 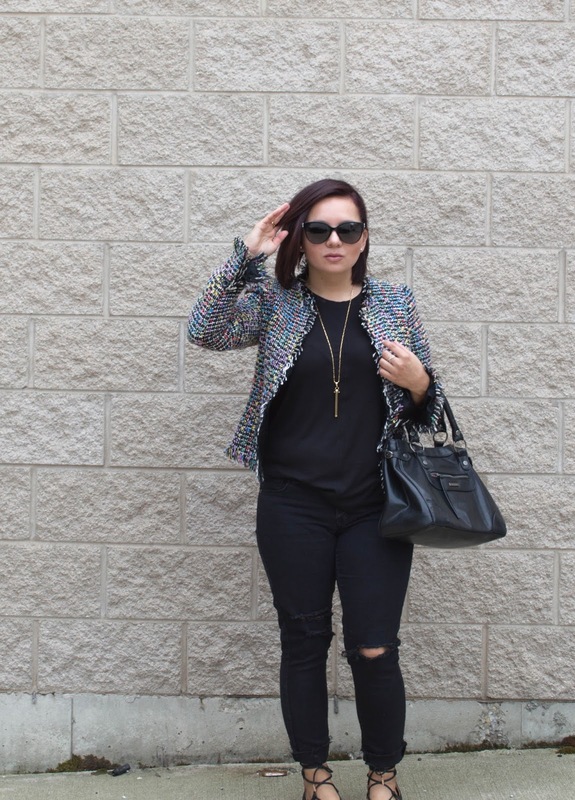 I love a good tweed coat for fall! Ah, love your jacket! It's classic and fun. I remember when tweed was in years ago. I had such fantastic pieces that I wish I still had.